Fascinated with electronics & the technical aspect of audio, Kristen Olmo, a.k.a “K.O.”, began her journey into the world of Television & Film back in 2004. 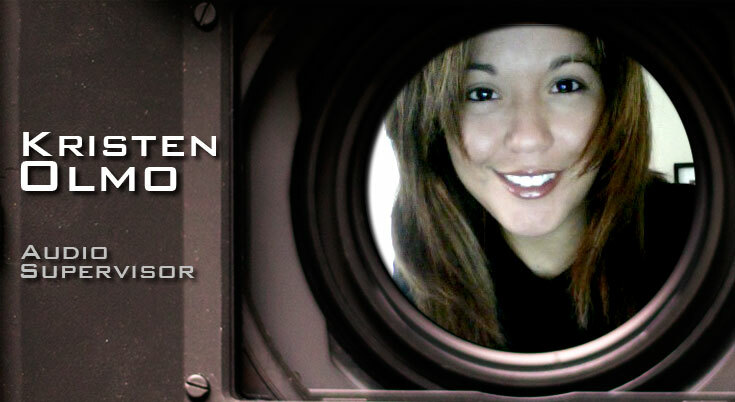 As a young Hispanic female, “K.O.” has excelled through the ranks with determination and fervor working diligently towards her goal of Audio Supervising – in which she holds the distinction of being one of the few female Supervisors in the field. K.O. has worked on numerous projects over the years.